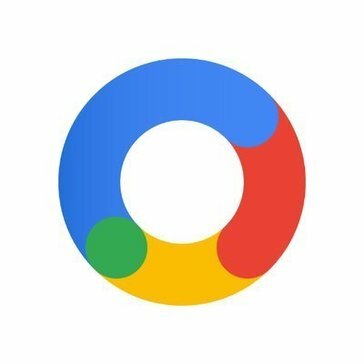 Work for Google Marketing Platform? Learning about Google Marketing Platform? "A platform that helps bring everything together." This was just recently updated to be called Campaign Manager. I love how the platform is essentially seamless. DoubleClick Campaign manager which I worked on the most also known as DCM integrates with DoubleClick Studio, Google Analytics, and Google Tag Manager. It allows you to traffick ads via the DCM server and allows a user to pull reports on data to better understand performance and where you can improve. I dislike the reporting portion of the software. It can be very confusing to understand what kind of report it is that a user would be pulling. I have had to reach out to DCM support multiple times to better understand what report I would be pulling when I needed specific information but over time, it becomes easier. You definitely need to ask the right questions. It is fantastic tool to use when you want seamless reporting across multiple platforms. Our biggest use for this is using it as a DSP and implementing pixels also known as 1x1s to track conversions and landing pages. It is a great tool to use and since we use other google products as well, it makes everything seamless. "Meh for display great for search"
The DoubleClick Search solution is by far the market leader over Marin and Kenshoo. Implementation is fantastic and easy to use. The system is also great at managing multiple isolated datasets, and controlling users permissions for access. For Double click search It need lots of improvement in reporting and segmentation, business tables are heading in the right direction but needs to be fully supported throughout the product to hit the mark. On the Display side of the business its just needs a complete re thinking, setting up and reporting out on digital marketing should not be so complicated. I have not found any Display campaign management solution that I really like, If ind that they are all cumbersome to build out campaigns, traffic and report out of. I do love the Doubleclick Search side of the product, if they could make the display side work as easy as the search side then this would be killer. Needed a solution for tracking all marketing via a single platform to eliminate double counting and factor in multitouch interactions. This has allowed us to report and plan better with all paid channels, we still need a solution to factor in non paid interactions. What Creative Management Platforms solution do you use? "Wouldn't say the best, but ya the worth it"
The easy trafficking set is the best part in these channels and post the updations, optimization of the campaigns became very easy. There are other products in the market, which have better options than Doubleclick, I believe it is high time Google being the industry giant, consider the bight Ideas of today's startups, as it will only add value to its already existing fame. The largest benefit is that all search accounts can be consolidated into one UI. As a larger advertiser we have multiple accounts with each engine and it's not always easy to make large scale optimizations if there is no tool like DDM in place. The cost. The fee is based on ad spend that is being pulled into the DDM UI whether you are using any of their bid optimization tools or not. Be open to their betas and keep testing. We are consolidating all of our search accounts with DDM and are also working on automating bidding. We have a very complicated business model that includes a verification process and has a delay in revenue reporting because of that. The DDM account team has provided endless support from their end to find a solution, whether it's bid strategies, business data or their inventory feed. Doubleclick is easily the most built out platform on the market. It's incredibly easy to build a campaign but at the same time they offer every nuance you could want in a DSP. The functionality of doubleclick paired with the ability to use floodlights makes DCM the best DSP on the market. My agency uses Googles DSP for display advertising. The ability to use both the ad server and the DSP in unison make the DCM product phenomenal for executing campaigns. Within DoubleClick Managment (DCM) there are placements, ads, and creatives. The ads are created after a creative unit is assigned to the placement. I've noticed sometimes the ads default to "inactive" which doesn't allow you to track the unit. I have not figured out how to prevent this rather I just ensure all ads are set as "active". I wouldn't suggest trafficking display campaigns that don't have significant budgets because there won't be much insight to gain from minimal budget or dollars spent. The overall DCM platform is very user-friendly and allows you to update creative assets very easily. This has often been a time-consuming process in our ad servers that I've used in the past. I feel as though DCM is very easy to navigate and learn in general. Prior to my position now, I had never used DCM and only took a few weeks to learn. "Display Network for buying and selling advertising." This net work is for buying or selling and advertising the technologies into one flat form. it helps to mange the files or folders to open in a quick and easy way and integrate the work and media creation from one corner to the other corner. it is really helpful in the form of video and other files to run quickly. able to manage the data into a secure and faster manner and also the display and other videos and files. "A seamless platform that brings all engines together"
I like that DoubleClick allows and reports on data from multiple engines so it's one place where I can quickly see and access performance. It's also very beneficial that users are able to input their own KPI based on metrics and formulas. There isn't much I dislike about Doubleclick. Sometimes uploading bulksheets can take awhile and it will show there was an error when there wasn't. I've had to contact customer service a few times to figure out what the error was and at the end figured out it was just a glitch with the system. I think it's a great tool and platform to house in and bring together all your engines to one place you can access and report on data. Using the data shown in Doubleclick, we are able to see what campaigns (ads, keywords) are performing the best and optimize them. We also use the bid strategies to ensure we pace towards budget and not go over or under the budget planned. "The best option ever created for managing your Programmatic campaigns"
First of all I love the fact that DBM is the only DSP allowing advertisers to take part in Youtube inventory. The inteface is beautiful, fast and intuintive. Support is quick and always friendly, which is definetly one of the most important things from a client perspective. Same as I love that this is the only platform allowing acces to YT inventory, I also dislike tha G is making it restricted for other platforms to compete in the same market. I can't think of anything else I dislike from DBM. After having worked with more than 3 different DSP I can only say that DBM is the best. Spend some time reading all the wiki directory that Google has created. By doing this you will fully understand and embrace all the power and possibilities of this platform. They really took good care of creating a wiki easy to access, read and explore. If you have previously used other DSP, you won´t find big differences when you start using it. The interface is really intuitive and despite each DSP calls the campaign structure differently, you will quickly learn how to use it. We got prio access to youtube inventory and have the option to run programmatic campaigns in this platform. Thanks to DBM we can accesss the inventory of the main ad exchanges fro display, video and native. The fees are not low but it is totally worth it. Doubleclick is very user friendly from a trafficking and reporting standpoint. It also has many integrations that are helpful when searching for details about campaign setup and has added additional metrics in the reporting section that have helped ease the process of tracking a campaign's progress. There should be an online chat option for people to get help from a certified staff/support member. I often times have a specific question that I am certain I can find the answer to within DCM, but I do not know where to go. Also, support staff can be a bit slow in responding to flagged issues. It's the only platform I've ever used to traffic out campaigns, so I'm obviously more comfortable with it than I would be with other platforms, but I think it is intuitive and not overly complicated. I would recommend using it. I can pull or set up regular reports to be exported and filtered by creative name, as well as pull results by custom floodlight metric for optimization purposes. When I first started working in DCM 3 years ago, these functionalities were not available, so I appreciate the progress that has been made. "DFP is a great way to advertise a product. " I enjoy that we can easily advertise for our clients. Including product placement and branded marketing through specified websites. This makes it easy for us to find the proper demographic without using just Google AdWords. The only thing I would say I dislike is that since it's through a 3rd party (most of the time), a lot of advertising costs increase. I could likely get onto the same website for a client, product, or service for less of a CPM than if I was just using targeted placements on Google AdWords. Rather than paying $5, sometimes even $8 or more on CPM. I would recommend always attempting to go through sites directly rather than going through a vendor or third party. I would say we're solving the problem of clients needing specified placements for their ads to target the proper demographics. It's definitely beneficial to be able to target exactly what website you want to advertise on, as well as where you want your ad to show up on that site and when your customer will see that ad. I like that you are able to pull the data for a certain brand or client between specific dates while also specify what data you are looking for, such as impressions or rates. It also makes billing much easier each month to be able to see the spend versus the impressions. Because the data can be so granular sometime it is hard or may get confusing to pull a large data segment. It can also be confusing the first few times of use but gets easier over time. I would highly recommend DCM to any other Media agency or agency in a related field that needs to pull granular data. You are able to see specific brands or products and be able to pull data segments against any data you may want/need to see. With this you are able to optimize you brand campaign to possibly re-target or change what you are advertising with. Also, by pulling DCM information you are able to easily bill your partner on what impressions went live and calculate that against contracted impressions and contracted cost. We are able to see when our specific brand campaigns are live on the internet and how many impressions have been linked to each specific ad or banner. As stated before, DCM also allows easy steps for our specific brand billing processes. We are also about to optimize our campaigns with the information we can see on DCM. "straightforward to use, wide functionality"
The DBM and DCM platforms are very straightforward and easy to navigate. I use this on a daily basis at my agency and the accompanying Academy for Ads tutorials are very helpful. Currently there are quite a few bugs/issues that occasionally interfere with daily operations (ie. adding campaigns into the Doubleclick Bid Manager), but the Google help desk is very responsive and provides good assistance. Great for overall campaign and bid management, but can have some bugs and it really affects the performance day to day. I'm in programmatic media and using the DBM and DCM platforms on a daily basis for managing campaigns and programmatic ad buying in real time. It's nice that any updates done in one DoubleClick product gets updated automatically in another product. I find that the main reason to use Doubleclick is that it's easy to use. Compared to other marketing platforms we've used, I find the UI intuitive and well thought out . I also personally like how comprehensive the overview of the sales funnel is designed to be. This actually helped us cutdown on our C,P,A, and increased our revenue when we saw that we were actually missing our target audience on display. One of the biggest issues I have with Doubleclick is that the features don't always work as intended. This is actually the main reason I gave it 4 stars instead of 5. They sometimes roll out great updates that are supposed to make it easier for the team like making multiple ad layouts that each team member could customize from a basic layout. However, this doesn't always work, and can put our team behind schedule. If you need a user intuitive marketing software, for a larger office (at least a team of 10-15) this is one of the best choices available. The data gained from the comprehensive sales funnel helped us cut back on our display spending and focus more on an emerging millennial market through social media. "Organized & Straught Forward "
Having no experience with trafficking, it was very easy for me to figure out DFP almost completely in about a month. They have video tutorials on everything so if you ever are confused or need a little extra help, you can just watch a video. After using DFP myself and all my coworkers will notice that the program will start go go very slow, so every so often you’ll have to close out your window and open a new one. This usually helps, but then you lose your work spot so it can be annoying. My company uses this program to traffick ads to various sites. We work with very big retailers as well as well known brands, so it is important that we can ensure smooth uploading and clear organization between campaigns. "DoubleClick - Useful but Clunky"
I think the biggest selling point is how integrated this is with other products we are already using. The interface is clunky and difficult to navigate. I think the UI could use a lot of improvements and could be streamlined to improve the user experience. The price point is also a tough pill to swallow. Just know that at this price point you might expect the product to be "cleaner" and more streamlined than it really is. The price can be prohibitive for smaller agencies. But this does vastly improve most agencies ability to properly pace and monitor campaigns. The support team is very helpful and is a very important resource to utilize when using this product. The biggest benefit is how integrated this is with products we already use. This is a huge help for managing client budgets and pacing appropriately throughout an entire flight. "Industry Leader for Advertiser Ad Operations Suite"
DDM is the complete package for any agency looking to track their digital media banner campaigns across the web. What I like best is the ease of use, the robust reporting and response customer support. What I dislike about DDM is that like other Google products they don't play well together. Since DDM is used as a third party ad server, ad tags generated from DDM can be used in other Google DoubleClick servers specifically DBM or DFP. Though they are from the same company on basically the same platform, stats can vary widely. Large discrepancies..
Give DDM a serious consideration. There is a reason why more than half of agencies use DDM. DDM allows us to track our digital marketing campaigns we have running with publishers and ad networks/ It allows us not to rely on publisher reporting which for all we know is falsified. DDM tracks our campaigns performance and gives us the ability to run reporting we would otherwise rely on the publisher for. "Great...once you learn how to use it"
Strong from analytical perspective: great for analysing performance. You can see all display campaigns at a glance. Fairly simple to integrate with other products. Once you get started, it can get tricky until you learn the do's and don'ts. As with other Google products, it is is easy to set up and get started but you need experience in order to get the best of it. DoubleClick is one of the most widely-used services. Take the time to learn it, and it won't fail. "Don't be overwhelmed, this technology is your friend "
it was easy to get started. It's a google product so its easy to sync and integrate with our other software like Pardot. It performs just like we want when we applied it to our strategy. We can run all of our display, mobile and search in one area. Easy to onboard. Biding is a little wacky. We had a hard time at the beginning. Optimization is a little wonky but thats probably an end user issue. Support is great. I think its a google product so you will not have any issues linking it to any third party software if you need. We have almost an omni-channel marketing strategy going on and we want to keep everything under control and optimize as much without having to hire another team member. We want to make sure we are not losing money or wasting time on something that doesn't have an ROI. "Industry benchmark tool for Search "
Ease of use compared to other tools such as Marin and AMO, bid strategies usually work to target ROAS or CPA. Reporting functionality is smooth easy to set up dashboards etc. and automated emails with visualizations for other stakeholders. Can be tricky to control budget pacing - reducing target ROAS or CPA does not usually mean a slowdown in spend. Campaign budgets have to be manually adjusted unlike AMO. Support can thin for SMEs so consider the level of expertise you have in-house as pretty much have to be self-sufficient. International accounts are much easier to manage and merge into one bid strategy. Reducing CPA on PLA campaigns a major benefit to date. I use Double Click in my day-to-day work at an advertising firm. We use Double Click for analyzing both our Search and Display campaigns. Overall, I find it an integrated and helpful software, that allows my team to seamlessly and efficiently report out to clients. I would say the downside of using Double Click software is that some of our sites are unable to use tagging for floodlights with it. Using site-serve data is less than efficient, and if would be great if all our partners were able to utilize Double Click for reporting purposes. I use Double Click specifically for data analytics. The integration that it does offer, as well as the responsive technical support, helps us deliver streamlined insights into advertising campaigns, and ultimately better reports to our clients. DoubleClick is the best campaign manager out there. It has every feature you need and more from budget management, audiences, bid strategies, rules, etc. The support is top notch as well. We are a Fortune 50 company and the sheer scale of our programs has caused performance issues in the past. We use DoubleClick to manage and optimize our search campaigns. It offers powerful reporting features and makes it easy to view performance by device, engine, keyword, query, etc. On top of that, they have their own AI based smart bidding that has helped us optimize campaigns and save time. I love the interface of DoubleClick for Publishing compared to DCM. I work in media and can easily search for campaigns that I am working on. Downloading reports is also very seamless as well! I do not like how there is usually a discrepancy in data between DoubleClick for Publishing and DCM. I really wish they would simultaneously work together and give the same data. That's the only thing I have issues with. The DCM interface is also not as nice to look at..
We use all our media for Target with these programs. We run all of our campaigns through these and have realized how smooth and seamless the integration is. "DoubleClick Digital Marketing | Overview"
The platform is by far the easiest to train on, I have trained many of a people on the platform and it is the easiest from them to walk-through. It is very user friendly. Th biggest issue with the platform would be the customer service - it takes a decent amount of time to troubleshoot. We use DDM for ad serving, reporting, campaign management and optimization. It is a great tool to use across the board. "DoubleClick helps me do my job every single day - must use"
I love the flexibility of DoubleClick. I use it every single day at my job in order to report on the performance of our marketing campaigns both on a macro-level and micro-level. The ability to dig down into specific actions as well as measure the reach and frequency of all of our trafficked media helps keep both our agency team accountable as well as measure our media partners in order to optimize our campaigns/activations in real time. Particularly for search performance, DoubleClick's reporting and insights feature is not my preferred platform. In order to run a search report at the daily level, running and pulling the report takes far too long to compile. It's much faster to pull a search report directly from the search platform. Make sure that you've worked with other analytics or data management platforms in the past. Making the transition to working with raw data from pure UI can be difficult for those who are uninitiated in data management. The problems I'm solving day-to-day are typically issues of optimization with our site-partners. For instance, I'll use rich-media reporting to A/B test our creative for interaction rates on multiple sites for click-to-expand video units. Since the same creative ran across multiple sites, we were able to determine where we should prioritize our spend in terms of media performance. "Provides Solid Analytics to Help Maximize Campaign Effectiveness"
The site is very word-heavy and could benefit from easy to read charts that would show effectiveness or places to concentrate optimization on at a quick glance. DCM allows us to track the effectiveness of different unit types and allows our clients to track the effectiveness of our products against other mobile ad buys they are running, giving us an opportunity to stand apart from other competitors. I like the fact that double click is able to consolidate difference paid search engines and show them in a consolidated view for more efficiency. I dislike the fact that it can't pull SOV and some more detailed information. We use Double Click marketing for paid search reporting, and since our company was previously acquired by DoubleClick, then by Google, then sold to Publicis, we have a deep lineage of using DoubleClick. I love how you can see real time data. The platform is very quick and you are easily allowed to make custom columns. There are never any tracking or data discrepancies. The bid strategies are very easy to implement. There is not much to dislike except it would be nice to have my social campaigns within the platform as well. The benefits of double click is being able to see real time data and seeing results happen In an instance. When the client is very persistent on seeing how today is going it is very easy to go In and see today’s performance. "DoubleClick Digital Marketing is an effective platform for advertisers"
The interface is easy to understand from the get go. I am able to switch between my trafficking and reporting tabs very easily, and it houses many advertisers information. Data exports are clean and easy to understand. There's not much that I dislike with DoubleClick Digital Marketing. The alerts that pop up at the top of the screen in the blue bar can be distracting, and I'd prefer if they were in a bubble in the bottom corner or somewhere less obvious. My agency needed a platform to house all data gathered from floodlight tags and DoubleClick Digital Marketing does this very well. I can see a list of all floodlights by name, activity string name, group string name, and fires in the past two weeks. As an analyst, it not only allows me to quickly see all floodlights I have placed on a website, but it also gives me a detailed export. "Automation of paid search and no loss of data"
It natively integrates with Google Analytics, especially Google Analytics 360 (formerly premium) which allows you to better measure and attribute the value of your search campaigns. Negotiate prices, there's a lot of room for lowering the price. Measuring a holistic view on the customer journey. This allows to truly measure the impact of brand awareness campaigns on other marketing channels. "DCM sports an intuitive UI and robust reporting capabilities"
Google’s emphasis on consistent design and easy-of-use carries through into its ad products, especially DCM. The similarity between DCM and Google’s consumer products (e.g. Gmail, Drive) makes it easy for somewhat with little experience to hit the ground running. DCM’s reporting interface is similarly intuitive, and makes it very easy to pull everything from basic performance reports to larger attribution analyses. Adding new media vendors and creating new user accounts are difficult processes, and could use refinement. DCM allows my media agency to track and report on digital media performance. "Can be complex, but it is the best-in-class digital marketing tool"
Tons of customization available, which allows for complex campaign setups. Integrates various advertising sources and channels into one place. The best bid management tool, and also the best ad server, so all-in-all, the best choice for advertisers at scale. Can be frustrating to use due to occasional bugs, particularly when working on things at large scale. Great product for larger businesses, but requires a lot of hand-holding from people with expertise in the product suite. These are business-critical tools for us at an Enterprise scale, between DC Search for all of our search advertising, and DCM for all other trafficking and tracking. "Google Basic UI/UX Makes Adoption and Use Easy"
I rather like that this feels a lot like other Google marketing applications. We could use other solutions to consume 1st and 3rd party audience but this makes it familiar with our teams who are doing AdWords and other tactics in other tools. There's not a lot to dislike. We are very happen with the solution overall. We use this effectively to buy programmatically against audience providers like HG Data and Pacific Data Partners. This allows us to target the profiles of companies that matter the most to us. "A very easy and helpful tool"
I love the interface, is very easy to understand and the help section is really good so it doesn´t take a lot of effort and time to get over the platform. I dislike the reporting as is not very friendly and also usually it takes a lot to compile a simple report. I think they can improve a lot in this issue. There are similar platforms with better reporting areas. We have integrated all of our channels in DDM so we have all the data from search, display, programmatic, emailing...and we can also view the conversions and assists that each channel is contributting to. "Easy to use, but buggy"
The DoubleClick marketing suite has a lot of data, with many different ways you can sort the data. It is very helpful for coming up with insights that help us sell our advertisibg platform to clients. There is a lot of information available but sometimes it can be difficult to hone in on an easy way to sort through or present the information in the way you need. This platform is what I would call a necessary platform if you are in marketing. We are able to track our audience regionally, based on many different technology pointa, which is really helpful when were are targetinf specific group of people say for geo targeted campaigns or campaings where we only want to target apple users pr mobile phone users, etc. I liked that I was able to manage my campaigns from one product. It allowed me to ensure creative was set up correctly as well as the tagging. How manual it is! I wish there was a way to copy/automate. Make sure this is the right product for you. It does many things but if your company isn't set up to use it properly/aren't trained well it could easily be a deterrent. It's a smart product that gets the job done and it's constantly evolving and improving with customer feedback. It's important to note, there are other products out there that do the same thing but with this one you have Googles backing! That's important! I'm solving launching my campaigns and managing them. DoubleClick works brilliantly with the rest of the Google advertising suite. For seamless monitoring, tracking and launching of multiple advertising campaigns simultaneously, DoubleClick makes for an elegant solution. The weakest element of DoubleClick is the fact it is so multifaceted. The DoubleClick platform is comprised of a wide number of elements that have been manufactured to create a modern feeling product which can very easily overwhelm and confuse new users. Regular training to use the entire suite is mandatory as this will help allow practices to streamline when executing more complete optimisation. The biggest problem we have been able to use DoubleClick for has been through the use of search insights. DoubleClick allows users to harness SEO tracking to gain user insights. "Intuitive Design Allows for Quick Learning"
The interface is very easy to use and there's an extensive Help section that covers almost every issue you may come across. Product updates and feature releases are not as frequent as other DSPs. Alpha/Beta phases of product testing take forever so if you're not included in those you will wait a long time for the new products. If you're looking for a platform that is easy to learn and has all of the essential tools needed to run quality digital advertising campaigns, DBM is a great choice. If you're looking for a DSP that is on the cutting edge of innovation in the space and will constantly be updated with new features, you may want to look into a different DSP. DBM's intuitive and straightforward design allows for quick implementation of mid-campaign changes. I like the platform interface for DCM , it's very convenient that it's a google product as well. The customer support for DCM is also fantastic, they will generally respond to you with 24 hrs and are very knowledgeable about the platform. In the trafficking interface, you are unable to delete placements, creative, or ads only archive them. Another issue is how monthly billing is done. If you have a client with multiple campaigns, DCM sends you one invoice rather than breaking out the costs on separate invoices. This can be very time consuming. Most publishers/vendors are familiar with DCM so it's usually a smooth process with the implementation of digital tags. We use DCM primarily as the 3rd party ad server across all digital campaigns. We use for trafficking digital banners, video, rich media, etc. "DoubleClick Banner Ads from an Agency Perspective"
ease of use from external QA perspective, ease of use in general. We have a programmer build a banner ad in DoubleClick and this is how we release the banner to media partners. Before, this was all done manually, and through email. It is much easier to build and release in one platform. not exactly intuitive; we had to receive hands-on training to truly understand the product capabilities in a meaningful way. I like that DoubleClick Digital Marketing can be personalized to fit your advertiser's needs/requests. We can filter by creative size or creative type or geography etc and present the client with tons of helpful information. It updates in real time. I dislike the general format that it exports to read data, although after a few steps you can personalize it to your preferences each time. We solve campaign optimizations, deep dives into reporting and daily reporting. I like how all my campaigns are organized. It is usually pretty easy to find anything I need without having to go to "help" or contact support. It is very difficult to get help and support from an actual representative in DFP. In fact, I'm not sure if they even have representatives or customer service. If I ever have a questions, I've found myself sifting through confusing videos and various pages trying to figure it out myself, which I find extremely daunting. I am able to deliver and monitor impressions for our advertisers accurately and efficiently. DoubleClick is my agency's go-to software to traffic our placements across both Display and Paid Social. It's intuitive and reliable. It would be great if reporting capabilities were slightly better. I'd love to not only have raw data as I export conversions/form submits on-site, but would also love the ability if DCM could spit out graphs that could present the data in a visually appealing way. We use DoubleClick as a second source of truth when analyzing on-platform conversions. "Great integration with most engines "
Great particularly if working with google closely. Pulling in back end metrics and aggregating performance across accounts in one place. Have moved towards more advanced KPIs and optimization techniques as a result of integration. "I use this program everyday and it is extremely organized and helpful"
very organized program, efficiently allows me to pull large data sets and pull in only what I need. Pulling large sets of data to analyze and write reporting metrics and insights, super easy to pull in only metrics that I need without having an excess amount of information. "Good product if used effectively"
We are able to prove a lot of our advertising campaigns with the tags that we can create with the DCM platform. This allows us to show a more in depth review of campaigns for our clients. The software is a little difficult to use and the platform just changed so it is difficult to find some all tabs. 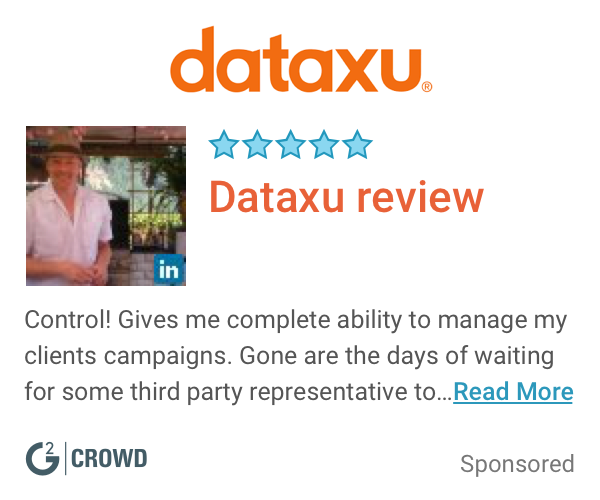 "Overall A Good Experience With DCM"
DCM is pretty quick and easy to navigate through, to create new campaign builds, to build reports, and check on statistics. I also like that there is an advertiser view and a campaign view. Also that you can switch easily back and forth from reporting & trafficking. I dislike the campaign view form. Now that I have more experience in DCM, it makes more sense but as a beginner it was difficult to see the layering of placements and ad sets. We are solving building out campaign builds within DCM. Some benefits are the scheduled reports and also being able to see in the summary tab an overview of how your campaigns are doing. * We monitor all Google Marketing Platform reviews to prevent fraudulent reviews and keep review quality high. We do not post reviews by company employees or direct competitors. Validated reviews require the user to submit a screenshot of the product containing their user ID, in order to verify a user is an actual user of the product. Hi there! Are you looking to implement a solution like Google Marketing Platform?